No data is collected to allow for the plan's success or failure. "[Oakland officials] found that 90 percent of shootings and homicides occurred in 5 percent of the city - or approximately 100 city blocks." Except that entire sentence is wrong. 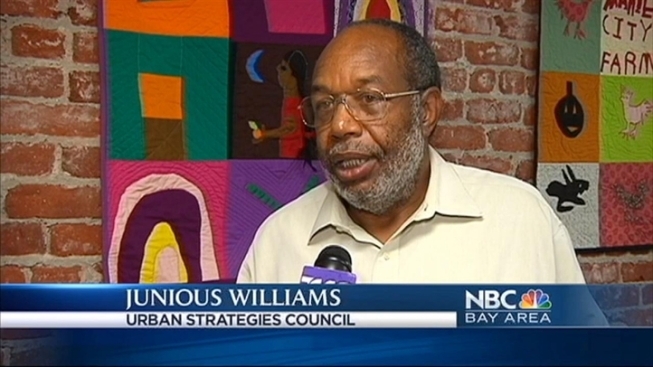 Quan's spokesperson, Anne Campbell Washington, told SFGate.com that the rough-hewn region Quan has targeted account for 58 percent of homicides and 42 percent of shootings in 2010 and 2011. Campbell Washington, citing the need for transparency (let alone accuracy), made the announcement while the mayor is in Rio de Janeiro for an environmental conference. Another study of the city's most dangerous areas -- as best determined by Quan's geography -- account for onlyl 17 percent of the homicides from 2007-2011, according to the Urban Strategies Council. Residents of other Oakland neighborhoods, like the Oakland Hills, have publicly complained that they've witnessed an increase in robberies and break-ins due to the concentration of law enforcement in only certain areas. One finding of the Gate's Matthai Kuruvila is that there is no real way to measure success or failure on the 100-block initiative because there is no data collected or recorded to compare results. One more call out is from the Oakland Police Department: "(We) are not restricted by boundaries. We address ... sources of violent crime wherever they may lead." While the 100-block approach is a catchy, nicely rounded phrase, it apparently is inaccurate -- and there's no way to really tell if it even works.